Owing to our in-depth knowledge in this domain, we are specialized in providing Manganese Ore.
Our thoughtful know-how and market capability allows us to offer to our patrons a distinctive assortment of Manganese Ore. Origin – Philippines, Indonesia, Brazil, South Africa, Nigeria, Cameroon, and others. Mn 32/30% , Fines 0 – 10mm, Indian Origin. 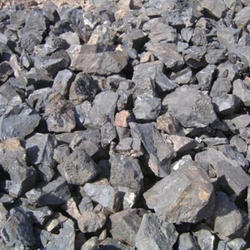 Manganese Ore available from African mines. Main application Ferro Alloys and Agro Chemical industries. Delivered to works anywhere in India. Our client can avail superior quality of Manganese Ore. These ores are essential to iron and steel production by virtue of deoxidizing, and alloying properties. The features like unmatched quality and unbeatable performance of the Manganese Ore has played a vital role in the enhancement of the demand. These are available in market at competitive rates. Available In Mesh Sizes: Hard lumps, Soft Lumps (Beda Powder), Chilli and Fines. - Used in steelmaking, foundry activities, etc. We are engaged in offering a quality approved range of Low Carbon Manganese. 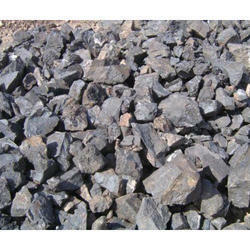 The offered range Manganese Ore For Steel Making Industry is processed in suitable conditions. Furthermore, the provided range is combustible. The Group imports Manganese Ore and supplies the same to various Manganese Alloys Smelters all over the country.